That was pretty cool. 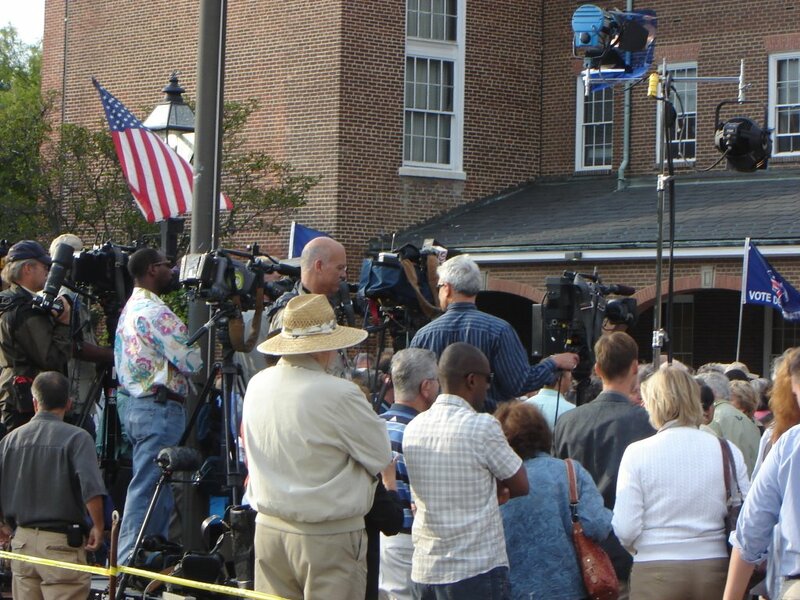 I am somewhat of a novice when it comes to participating in politics. 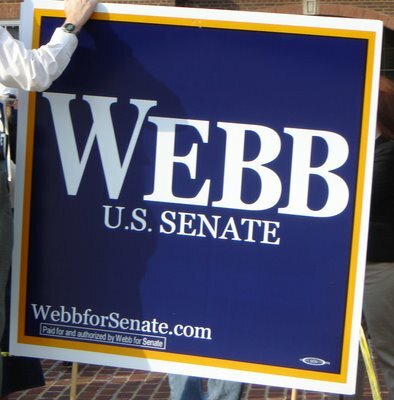 Before Jim Webb I just watched from the sidelines and voted. Being in it is so much more exciting. It feels like you make a difference just by showing up. Here's my somewhat-crackly-but-still -inspiring bootleg of the rally. 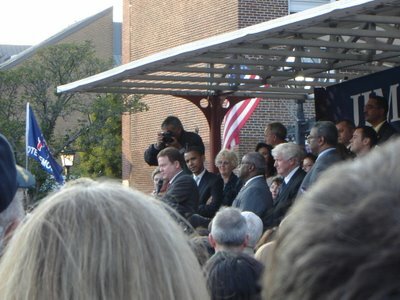 A crowd of several hundred came out to see the future of the US Senate in Barack Obama and Jim Webb. 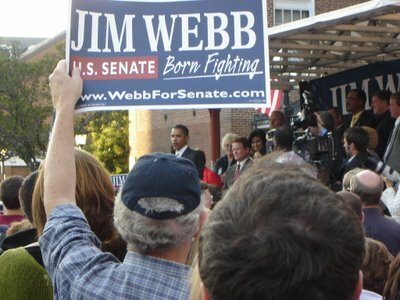 As you can tell, Obama and Webb lit up the crowd. I finally got a giant "Jim Webb - Born Fighting" sign, too. 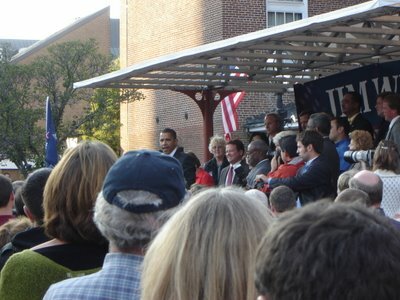 All in all, that was a great rally and a great experience. Some have criticized Webb for not being an effective public speaker but that's not what we saw tonight. We saw a focused, confident candidate who is going to do what it takes to win this election. 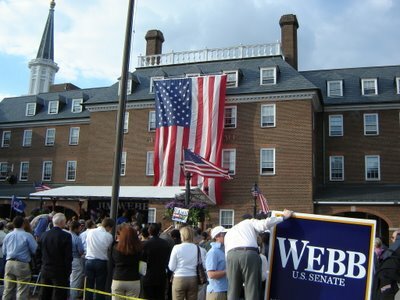 PS: H/T to VA Progressive for this NBC news report on the Virginia Senate race. Comments on "Obama and Webb Rock"